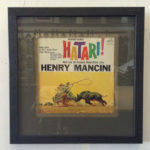 From original paintings to handmade needlework to sports memorabilia and more, if it can be framed, we will craft an eye-catching solution to protect and enhance it. And yes, we showcase many local artists working in a variety of mediums. Come browse our gallery in the heart of Multnomah Village–one of the most charming neighborhoods in Portland, Oregon. What do you want to frame? Exceptional design: Staying current with design trends and innovative techniques, combined with our skill at color selection and layout, allows us to provide customers with finished products that surpass expectations. Conservation materials: We only offer glass with ultra-violet protection. Our mat board and backing board create an acid-free environment. 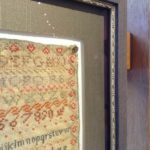 Our mounting techniques are completely reversible, using only rice paper hinges or acrylic corners. The only exception is when we are handing reproductions that can be easily replaced, such as mass-produced posters. 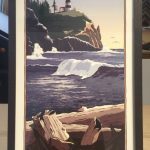 In those cases, we might vacuum-mount or permanently adhere the print, but would still use high quality materials to ensure longevity of color and paper integrity. 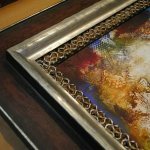 Detailed craftsmanship: Taking care to make sure every step of the framing process is executed perfectly is the secret to artistic, long-lasting framing that will protect your belongings for years to come. 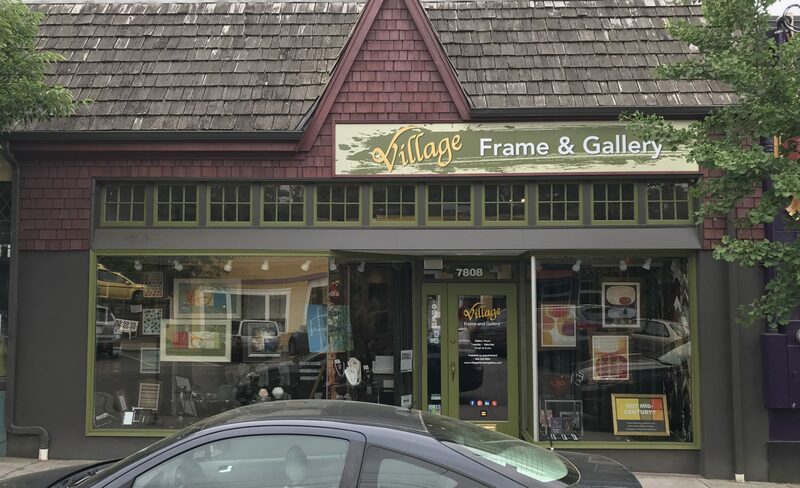 At Village Frame & Gallery, even the small, hidden elements of every frame we build are placed with the skill and conscientiousness of a master craftsman. 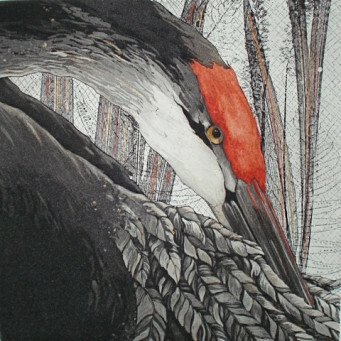 Personalized service and design assistance: We consider your unique style and preferences, décor, and goals for the framed piece, to create a finished product that brings you pleasure. 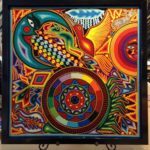 We will assist you with design choices every step of the way and even come to your home or office for an art and framing consultation, if you prefer. 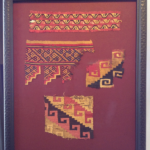 Whether you have invested money in fine art, spent hours handcrafting needlework, or want to exhibit cherished objects, the next step is investing in professional, custom framing to protect and enhance your belongings. Start with a call or visit to Village Frame & Gallery. 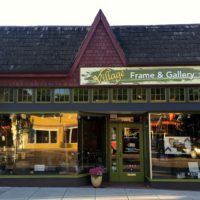 Village Frame & Gallery is proud to feature local fine artists and artists from from around the world. 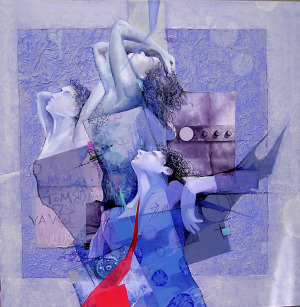 Visit our gallery in Multnomah Village to browse through our large selection of original artwork, prints, and posters. Or, if you need an in-home or in-office consultation, call 503-245-8001 to schedule an appointment. Learn more about the local artists we feature by browsing our Featured Artists posts. Subscribe to our e-newsletter to stay in the loop about upcoming sales and specials. Pin something from our Pinterest page to yours. 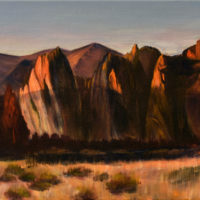 It was 6:30 pm on April 1st and I had just finished hanging our April featured artist’s paintings in the gallery – I hadn’t yet locked the door. Is art your favorite vacation souvenir? Ours too! Here are 5 things you should keep in mind when choosing art during your next trip. What did you do this summer? Don’t worry, this is not an essay assignment. 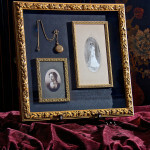 But we would like to see your favorite pics, which make great display pieces!